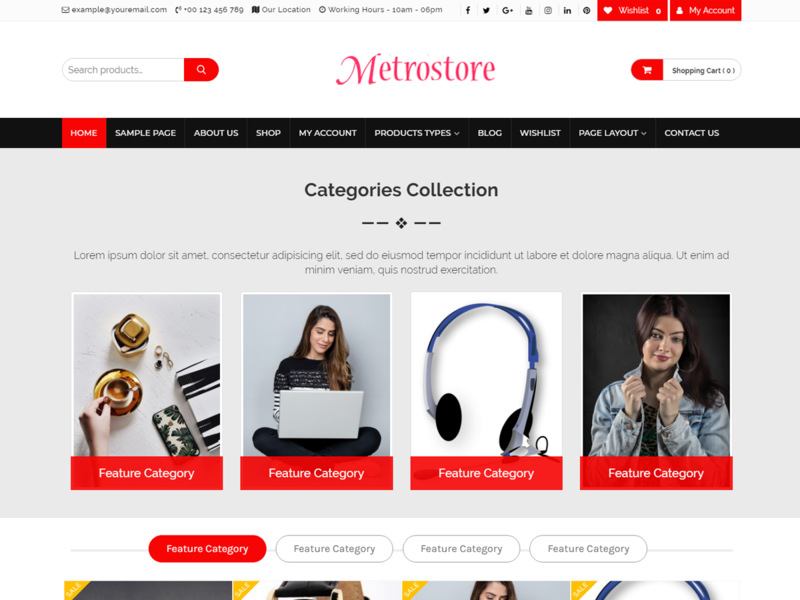 Online Bazaar is a powerful, dynamic and highly customized child theme of Metrostore Free multipurpose e-commerce theme. Online Bazaar free WooCommerce WordPress theme suitable for eCommerce websites of any store type : fashion store, sports store, men – women or children store, jewelry store, kitchen or food store, toys store, digital product store, affiliate store or all in one store, Its modern design is perfect to create a website for your business. Online Bazaar is easy to use and fully responsive free WordPress theme, a theme is packed with lots of exciting features that enhance the eCommerce experience. A theme is fully compatible with most popular WooCommerce, YITH WooCommerce Wishlist, YITH WooCommerce Quick View and many more plugins. This theme packs many premium features and several custom widgets which helps to make your online store professional and well organized, Use this theme for your e-commerce website, you will feel the best ever experience.